The fifth-grade students at Aaron Parker Elementary are reading the novel The Homework Machine. The story takes place at the South Rim of the Grand Canyon. 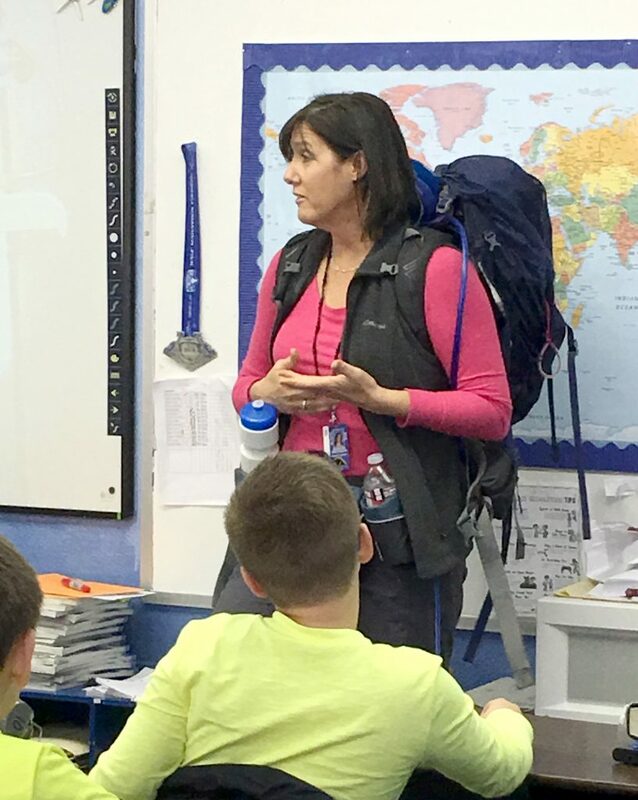 Parker nurse, Shanon Erickson, dressed in her hiking gear and shared her hiking experience at the Grand Canyon National Park. She and her family spent a vacation hiking down to the Colorado River and back up in one day.